Each year we journey to the woolen mill in Canada where we pick up our latest dyelots. Here are the new selections added to our palette as of late. We hope that you like them as much as we do! Our color cards evolve throuhout the year, as new dyelots of existing selections are added to our line-up. 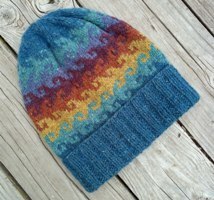 3-ply Mittens Lake - Lovely New Dyelot! 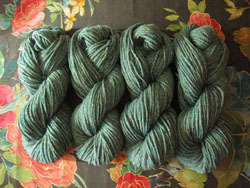 Catbird Heather - Lovely New Dyelot! Winter Wheat - Lovely New Dyelot! 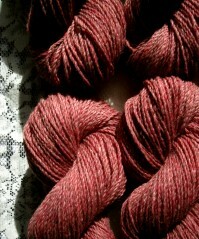 Hollyhock Heather - 35% Kid, 65% Merino - New Dyelot!